Britax Kidfix2 S Car Seat is a 2-in-1 Group 2/3 Car Seat for children from around 3.5 to 12 years. Thanks to the V-shaped backrest with adjustable SICT, the seat not only offers more space for your child to grow. It also provides outstanding side impact protection. Why should I choose the Britax Kidfix2 S Car Seat? Britax Kidfix2 S Car Seat is a 2-in-1 Group 2/3 Car Seat for children from around 3.5 to 12 years. The V-shaped backrest has handy adjustable SICT. This means that the New Kidfix2 S Car Seat not only offers more space for your child to grow, it also provides outstanding side impact protection. 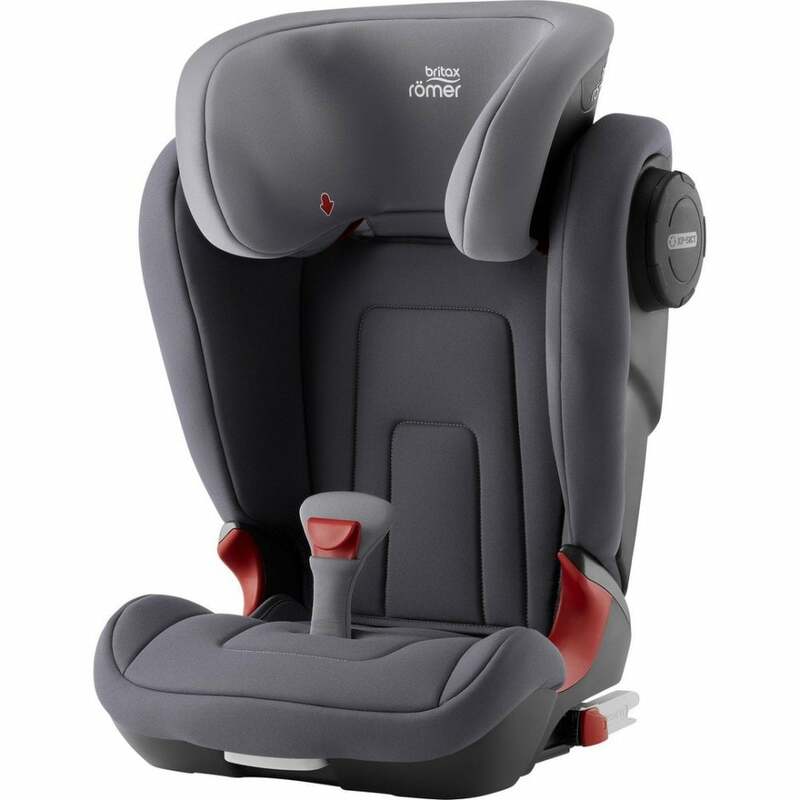 With the Britax Kidfix2 S Car Seat you can remove the backrest when your child reaches 135 cm. This means added flexibility. The SecureGuard and belt clip ensure for an optimal seat belt positioning when used as a booster seat. It helps to reduce the risk of injuries to your child's abdominal region. Additionally, the belt clip ensures that the vehicle's diagonal seat belt is kept in the correct position over your child's shoulder. This is for when the seat is used as a booster seat without the backrest. High backrest has a softly padded side wings and outstanding side impact protection thanks to the adjustable SICT, so you can be sure that your little passenger has the best protection in the event of a side impact. To benefit from the protection just simply adjust the SICT on the side of the car seat closest to the door. Easy adjustable and ergonomic headrest is designed especially for older children, when using the 3-point seat belt to secure them in the car seat. The headrest can easily be adjusted to the correct position, just above your child's shoulders, with one hand - even while they are sitting in the seat. Plus the headrest its ergonomically designed to support your child's head when they fall asleep. What's more, the covers are machine washable for added practicality and convenience. What are the specifications of the Britax Kidfix2 S Car Seat? Do I get a warranty with the Britax Kidfix2 S Car Seat? Yes. Britax offer a 2 year Manufacturers Warranty on products. This applies to UK Mainland only.